display, will also have an impact, so it's hoped what is given here will assist you in some way to help you along. scene would be the ingredient for such a presentation. a "home for sale" sign would be appropriate. images and negotiating a licensing fee. showing too many images your audience is trying to absorb. who makes a specific point well, when you show good images that makes sense and makes your point. what kind of graphic you inevitably use but be sure they are high resolution and are able to make an impact. your audience. Feel free to ad lib or initiate a sort question and answer session. It can stimulate things a bit. 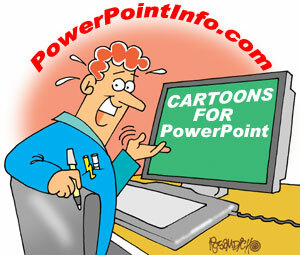 other innovative ways to apply graphics and images to PowerPoint. them online is your best option. Doing simple searches online is best. owns the work without your knowledge which could result in a lawsuit. the artwork, expect to pay a nominal one-time non exclusive rights usage fee. various articles and written content. information here, drop a line and a fast response is guaranteed. Thank you. cartoon for your daily enjoyment. Thanks for visiting!